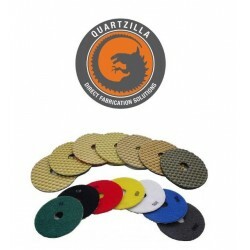 Wet Polishing Pads - Direct Fabrication Solutions Inc. 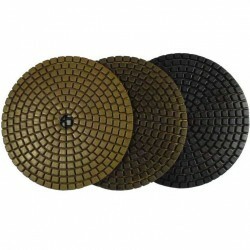 Wet Polishing Pads There are 21 products. 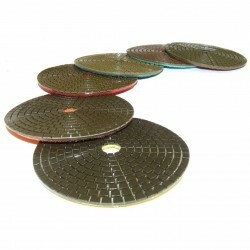 Alpha®, the manufacturer of the “Original Ceramica Polishing Discs”, has created the next generation of polishing discs, Ceramica EX. 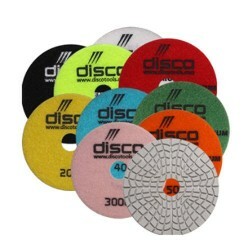 Disco's premium wet polishing pads provide you with longer life while at the same time giving you a terrific finish. 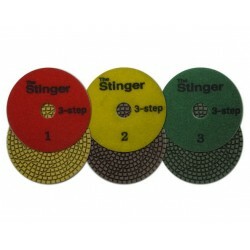 These high quality pads are great for fast polishing wet or dry, with little water needed for a great polish. 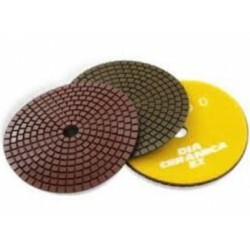 Alpha® Ceramica Resin discs are the backbone of the polishing process. 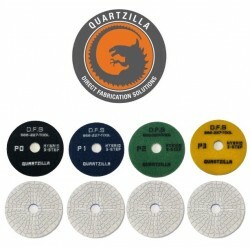 These high performance discs provide the best possible professional polish on the curved edges of granite. 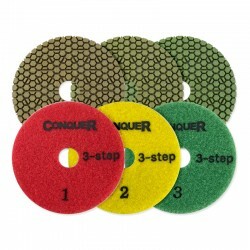 The Conquer 3-Step Polishing System: Half the steps, less time, great results! 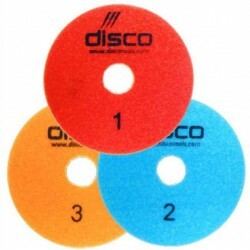 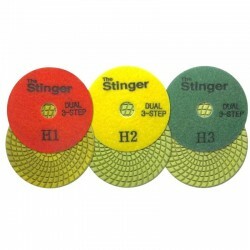 Disco Abrasives now offers new 3-Step Polishing Pads for granite, marble, engineered stone and concrete.